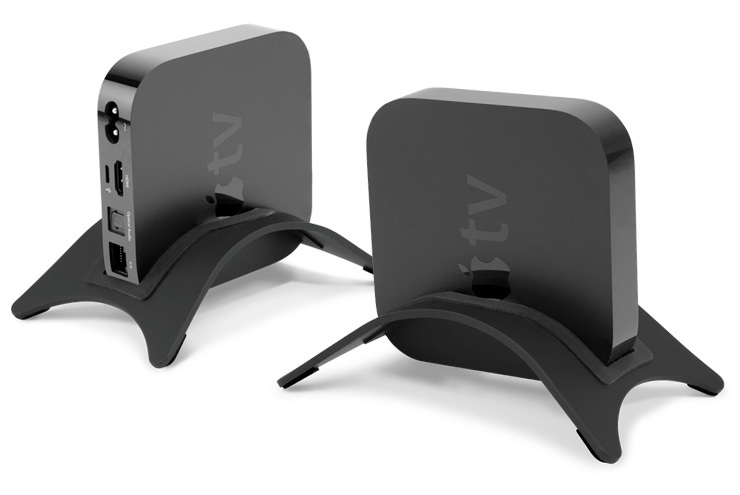 With its durable, aircraft grade aluminum body, the NewerTech NuStand Alloy for Apple TV provides a modern and secure way to display your Apple TV. Besides its good looks, NuStand Alloy gives you greater placement flexibility in your home theater cabinet plus easier access to all the Apple TV ports and connections. Non-skid rubber feet provide stable operation while the satisfyingly smooth rubberized black finish preserves its elegant beauty. Aircraft-grade aluminum body holds your Apple TV. This product was added to our catalog on 14/01/2011.